After last winter’s freezes and some tough trout fishing in 2018, Capt. Ronnie Lisotta has great expectations for solid specks like this one this spring. 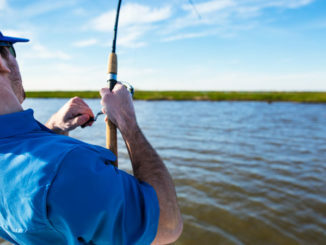 With the relatively warm, wet, dreary winter Louisiana has experienced so far this year, Capt. 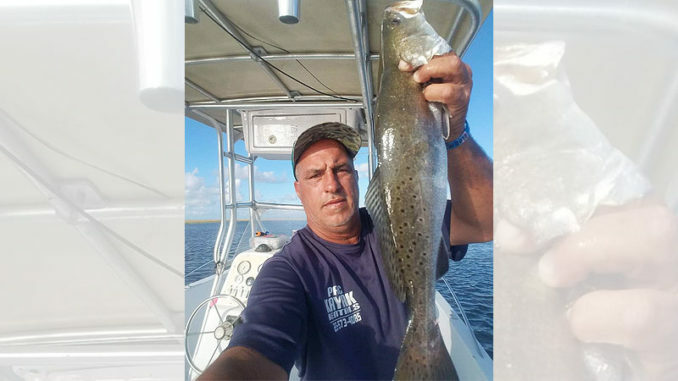 Ronnie Lisotta is expecting some serious speckled trout action this spring — and it should really start ramping up this month. 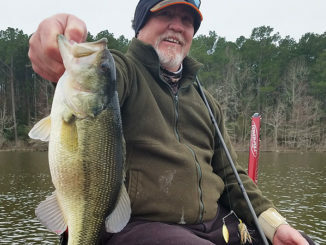 Based on the weather and catches earlier this year, the veteran charter captain said he wondered if specks ever migrated deep into interior marshes this winter. Lisotta said anglers were already catching trout out in Lake Felicity and Lake Chien in February, and the Sulphur Mine in Lake Pelto was producing earlier than normal as well. “That’s unusual for this time of year, and it shows summer could be here a little early this time,” he said. Just a few hundred yards from Pointe-aux-Chenes Marina on Highway 665, Lisotta said the power line area was a great place to target — and you don’t even have to crank up your big motor. Lisotta said he targets the main canal and the bay behind the power lines with a Berkley Rattle Shrimp or a Vudu Shrimp under a popping cork in the shallows, and tight-lines artificials in the middle of the bayou, which can range from about 17 to 20 feet deep. When he heads south to these big lakes, Lisotta likes live bait — and if he can get croakers, so much the better. “In April, you have to cast net for them and go get them yourself,” Lisotta said. “But if you can get some live croakers, that’s key. I hook them through the dorsal fins, and fish them on a Carolina rig with a 2/0 kahle hook on the bottom with a ¼-ounce lead head around structures in the lakes like platforms. Live shrimp, croakers or artificial shrimp also are the way to go in Bay Billiot, which is located east of Lake Chien. 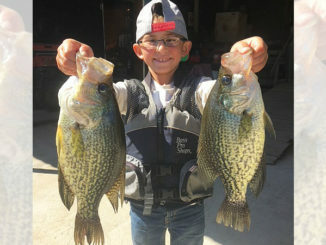 “They have some structure inside there — a couple of sunken boats — that you can fish that produce some big trout,” he said. And if chasing down bull reds is your thing, Pointe-aux-Chenes is a great location to target in April, Lisotta said. “You can catch bull reds — some 25- and 30-pounders — at just about any deep hole using cracked crab and cut mullet on the bottom, and you can catch big drum at the same time on cracked crabs,” he said. Editor’s Note: For more info, contact Capt. 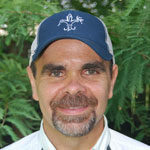 Ronnie Lisotta with Shoreline Charters at 985-688-2772, or visit his website at www.shorelinecharter.weebly.com.